After nearly two decades of continuous conflict and war, our society is dealing with an unprecedented amount of PTSD cases. War veterans are returning from overseas, scarred and devastated, both physically and mentally. Post-traumatic stress disorder is a condition characterized by the failure to recover after experiencing or witnessing a terrifying event. Such events are hard to avoid when stationed in a war zone. So how do you overcome such a debilitating disorder? 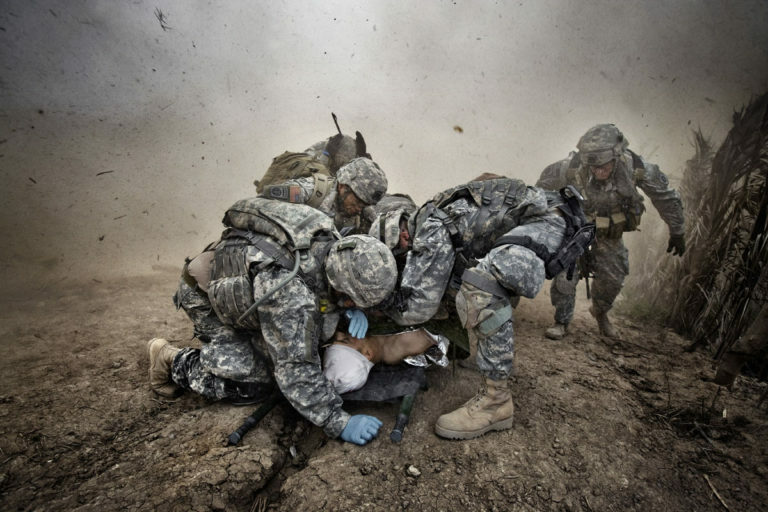 Advanced Care Hypnosis offers hypnotherapy to those servicemen and women who suffer from PTSD and are looking for relief. Their experienced staff is ready to help you. They have even seen some results with patients after only one session. Post-traumatic stress disorder manifests in a number of ways. The most common symptoms are nightmares and flashbacks, avoidance of situations that remind you of the trauma, heightened arousal, anxiety, or depression. But there are many others. PTSD is a very difficult thing to live with, both for you and your family. Seeking help offers you a chance to live a life that is not ruled by stress and fear. Hypnosis is an excellent technique for helping to relieve the symptoms of PTSD . The underlying trauma or event is something that has become embedded in your memory. Things that remind you of the event, whether it is something you hear or smell or see, trigger that memory and you experience it all over again. Hypnosis can break that cycle. A 2008 study showed that hypnotherapy had a positive effect on a group of subjects with combat-related PTSD. Hypnotherapy seemed to decrease their symptoms, improving their sleep, and decreasing the intrusion and avoidance reactions that they exhibited. Other studies have shown that hypnosis is an effective method of treatment and that it creates long-lasting results. Living with PTSD can negatively affect your work life and your personal life, but it is especially hazardous to your peace of mind. Techniques, such as self-hypnosis, can really help. Triggers for PTSD can happen anytime and in normal, innocuous situations. Having the ability to calm yourself at a moment’s notice can be invaluable to the healing process. Self-hypnosis allows you to replace negative and anxious thoughts with positive affirmations that reduce the stress of the situation. This is one way that you can take what you have accomplished in your hypnosis sessions and continue to use it long after your therapy has finished. Does it seem like your PTSD is controlling your life? Is it keeping you from enjoying the things that you used to love and from trying new things for fear of it being triggered? Now is the time to make the change and seek the help you need. Imagine having a life that was not ruled by PTSD. Picture yourself spending the 4th of July setting off fireworks with your kids, travelling to exotic locales, spending quality time with your spouse and friends, and seeking out fun hobbies instead of hiding yourself away. At Advanced Care Hypnosis, Daniel Rose and his team are here to help you heal from the pain and stress that your PTSD has placed on your life. You deserve to live a happy, successful, and full life. Let hypnosis help you.